Once again, the legislative and presidential elections took place in a climate of tension and insecurity. In a context of a constantly renewed state of emergency, since the failed coup of July 15, 2016, date on which the government has hastened to extend its control in the various cities of the country by controlling the system court and the resulting orders of jurisdiction (administrative, judicial and military). This approach has also allowed the ruling regime to proceed to mass arrests of hundreds of mayors legitimately elected in the Kurdistan region and replace them with appointed trustees by the central state. 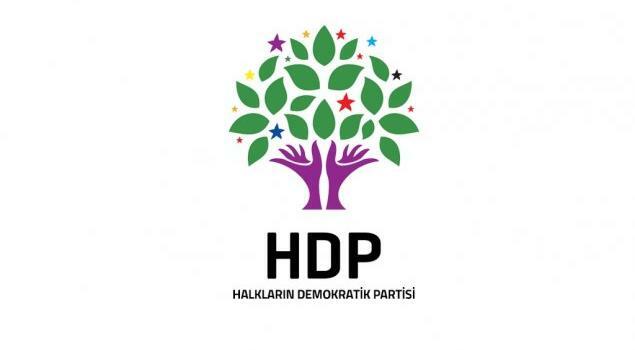 The leaders and members of our party were once again hit hard during this campaign, with more than 9,000 arrests and the murder of three of our supporters in Suruç. The acquisition of one of the last major media groups, Dogan Haber, by one of the president’s relatives, allowed him to complete his control over the media in Turkey. It is therefore under circumstances of total control of the independent press that the entire election campaign took place before these early elections (shortened abruptly by 18 months). Despite these conditions of imbalances, we once again exceeded the mandatory threshold of 10% to enter the parliament and also obtained more votes compared to previous elections, with subsenquently passing from 59 to 68 the number of our deputies. Our presidential candidate Selahattin Demirtas, who could lead a very limited campaign from Edirne prison, won 8.4% of the votes. We therefore maintain our position as the third largest force in parliament and remain the leading party in the Kurdish region. The AKP, in alliance with the extreme right that has not designated presidential candidates to support the AKP, and having resorted to massive electoral fraud, largely won the presidential elections with 52% of the votes (Erdogan will therefore keep his status as a Turca fashion president) but could not win the coveted qualified majority that would have made possible a change in the constitution to expand his skills. The AKP (42% in the legislative elections) has therefore not achieved its objectives and will be dependent on the far right (MHP 11.1%) to obtain a simple majority in parliament. The CHP obtained 22% of the votes in the legislative elections while Ince obtained 30.6% of the votes. The European Parliament has decided to suspend the sending of observer’s delegations to Turkey this year, while the OCSE has declared that it has not sent delegations to border areas for security reasons. However, the new law passed in extremis by the High Electoral Council authorizing the arbitrary displacement of polling stations located in certain Kurdish areas (residents of some villages had to travel several kilometers without cars to vote) reinforced the need to conduct monitoring in these regions. Most of the independent delegations composed of representatives of political parties and elected associative representatives who visited these regions were arrested and held in custody until the end of the polls to prevent them from performing their role as observers against electoral fraud. The situation of distress in which the country has been plunged for several years and the alarming deterioration of the various fundamental principles provides us with an uncertain future, but that does not discourage us at all. On the contrary, it encourages us to continue our struggle for democracy in the months and years to come, no matter what new obstacles are already in progress to clog our way. I Am Running for President in Turkey. From My Prison Cell.